This Adf.ly Review is gonna show you how to effectively optimize campaigns and earn money on this original ad network! This analysis aims to review Adf.ly, the mainstream ad network. We’ll focus on the advertiser side. Just like before, we’re gonna clearly showcase all the amazing features this platform’s got to offer. We’ll get things going by allowing you to experience a more general overview and then go a bit deeper into the cool features, the campaign creation process, the tracking possibilities and optimization. This platform has a whole lotta different ad types and we’re gonna analyze each and every one of them and how they’re displayed. You’re about to read our Adf.ly review but have yet to check our other awesome ad network reviews? Catch up right now and dive into Mobidea Academy’s Ad Network Reviews! Adf.ly isn’t like other ad networks in the market. In fact, it’s not even a network at all. The main service provided by Adf.ly? To be a URL shortener tool. But it’s much more than that. By using this shortener, publishers can earn money according to the users who visit this specific link. When users open the link, they see the advertisement for at least 5 seconds. Only then can they skip the ad and go to the shortened URL. This ad format is called Interstitial Advertising. This means that all the traffic of the interstitial format is coming from the users who click the links shortened by Adf.ly. Here’s the example of a mobidea.com shortened URL: http://adf.ly/1mAtFJ. When you open this link, you see an offer. Apart from the Interstitial format, Adf.ly has Pop and Banner traffic. However, it’s not that clear where this traffic is coming from, since the main concept of Adf.ly is the transitional page which has the interstitial format. According to the feedback from the support, some publishers who use their shortener prefer to display banners and pop ads instead of the interstitial. First of all, we must say that Adf.ly doesn’t present you an amazing world of possibilities in terms of campaign targeting. Indeed, there’s no special tracking postback or anything readymade on this ad network. On the top menu, you can see the “Create Campaign” tab, which is why we’re here! The main ad formats in Adf.ly are Interstitial, Banner and Pops Ads. The first step of the campaign creation is selecting the ad format you wish to run. The interstitial is an ad that’ll show your offer page to the end user for a period of 5 seconds. In case you’re looking for more interesting campaigns, your best options will probably be the Interstitial and Pop. The final traffic type is the Pop, which is displayed on the websites of Adf.ly’s publishers. After selecting the ad format you’ll see that the minimum prices per GEO will change, depending on the ad format. Select the GEO and amount of traffic you wanna buy – the list is organized by the price of 1000 visits to your offer link. Plus: as you may see, you don’t have all WW GEOs available, which means you may not be able to run that crazy campaign you’ve got on that unusual GEO. You may have noticed some red warnings. These are comments about the traffic availability and price. Don’t forget about the baseline to purchase traffic – 5$ – which can be combined in different GEOs. Since the platform is not that clear in terms of campaign creation, we’ll now go through the steps. The Previous Website refers to a previous campaign you’ve set up and that you can aggregate together on the same tab. The Website Name will be the campaign’s name, so make sure you’ve identified it clearly. The Website URL is your offer URL, which we’ll analyze later. In terms of targeting, the remaining possibilities are very limited. Indeed, you can only select Desktop or Mobile traffic – no distinction between types of device or brands. You can select two Operating Systems (iOS or Android) and select different carriers (all carriers will provide 3G + Wi-Fi traffic). The other options available and which are common to all types of ad formats are the Max daily budget function to include traffic from other Partner Networks, and the Auto Topup. In campaigns in which you use the traffic from these partner networks, you’ve got the ability to track the Partner ID using the token ?adfly_partner=xxxxx , where xxxxx will be the id of the partner ad network. Even though you can track it, we didn’t spot any place where you can choose the Partner Network. Therefore, tracking it seems pointless. Regarding the Auto Topup option: it’s basically an automatized fund refill to your campaigns that’s transferred from your wallet to the campaign. The other options shall remain unexplained, since they’re not relevant for media buying purposes. Compared with the Interstitial campaign, the setup is totally similar. Even so, there are some other features that are added to this kind of campaign such as the Show on Skip Ad button. This makes sure that – when the person clicks the button to skip the ad – the ad will appear there. In this type of ad, the main difference is in the way you upload the offer link. With this kind of offer link, it’s tough to actually track something on your campaign. This means that optimization will be difficult. You’ll select the payment method – Payza, PayPal or your account’s wallet – and you’re ready to go! Now that the campaign is created, unfold the campaign and click on the gear ☼. There, you can check your position and increase the bid if you notice you’ve got many competitors ahead of you. Another important configuration area appears when you click the wrench. In this tab, you can update some of your campaign’s features such as the offer link, max daily budget, day targeting and the option to receive traffic from partner networks. Note 1: don’t be afraid of purchasing too much traffic. Regardless of whether you just created a campaign or already have it running, you can always cancel it and all the remaining funds will be transferred to your wallet. Note 2: After creating a campaign you should always check the offer preview in the configurations.The Interstitial format consists of an iFrame code and the landing page of some offers may not support this format. Now, let’s jump into the data tracking and reporting. In terms of tracking, the platform is very limited, as you can grasp by taking a look at the image below. In fact, the platform only shows you the amount of traffic you ordered and the volume you’ve received. Apart from this, you can click on the Stats button (next to the wrench) and check stats for the campaign on the top graph. Again, it will only show you daily views and costs. This means you’re left with either reporting on your tracker or Mobidea as the two main sources of info. The next and essential step is to optimize your campaign. The optimization options of Adf.ly leave much to be desired. To be honest, you can do almost nothing at all! There’s basically no optimization available on the platform. You’ll just launch a campaign and see whether or not it’s become profitable. Since we were interested in that Banner Ad format, we decided to give it a shot. We launched a banner campaign – size 728 x 90. However, when we tried previewing the banner, it wasn’t displayed correctly. As you can see, the banner is not displayed correctly at all. This meant we couldn’t figure out how the banner is actually displayed and whether or not it’ll be correctly displayed. Now that you’ve read this article you’ve probably been able to gather something super obvious: Adf.ly isn’t exactly the kind of network we usually work on. The traffic is coming from the users who see the offer for 5 secs and can then skip the ad. Most of the traffic is interstitial, but we also managed to find some pop traffic in several countries. On the negative side, there are some important features missing and which are crucial for a profitable media buying experience. There are no stats on the platform, which means you can only analyze your campaign in your affiliate network or tracker. Even so, this data wouldn’t help you that much, since the optimization options are limited, to say the least. 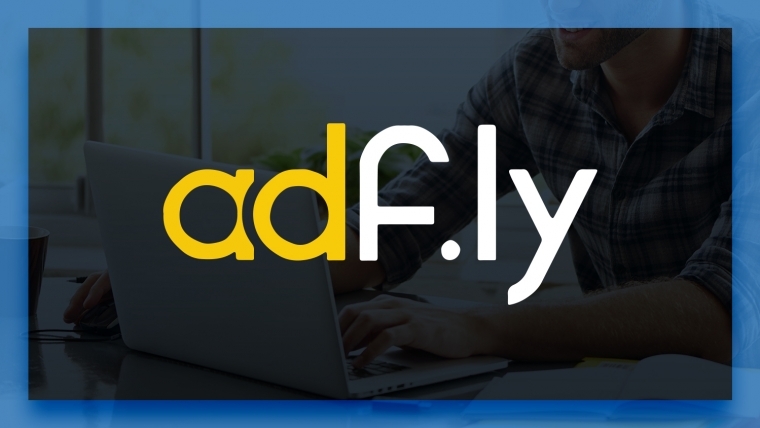 On the positive side, if you have a really good offer and are looking for as much traffic as possible, Adf.ly might be the right place for you! On Adf.ly, you can get decent volumes and pretty cheap traffic, on some countries. Moreover, the traffic quality seems good enough which, to be honest, is not that common nowadays. We hope this article helped you get an idea of what this traffic source is all about. Now, it’s time for you to decide whether or not you see potential to be explored! Feel free to ask any questions on the comment section below!